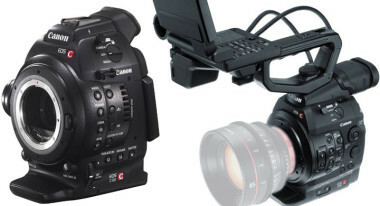 Early in the month Canon announced a paid upgrade to the C100, the Dual Pixel CMOS AF Upgrade. This upgrade adds a new autofocus technology that first appeared in the EOS 70D DSLR. The dual-pixel AF upgrade will provide faster and smoother autofocus that can be particularly useful for documentary, sports, event and wildlife shooting. Focusing speed is said to be twice as fast as the existing autofocus and will only work with compatible Canon EF lenses. 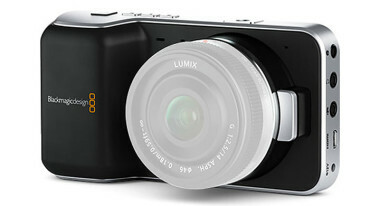 The upgrade will be available in February, costs $500, and requires the camera to be sent to Canon. Canon informed us that the upgrade does not involve any change to the sensor in the camera, and at the moment they do not plan to include this as a standard feature on shipping C100’s. Canon also released a free firmware update for the C100 and C300. The upgrade also includes an option to power down the connection to any EF lens, meaning that you don’t have to power on and off the camera when switching lenses. The upgrade for the C300 was subsequently removed because: “discrepancies in color balance can occur with footage captured by the EOS C300 and EOS C300PL running Firmware Version 1.1.0.1.00.” Just before Thanksgiving, Canon re-released the update as 1.1.1.1.00. Letus says that virtually any current prime and zoom lens, and any sensor size, will work with this adapter, though they add that the quality of the results depend on the lens being used. The lens is available in three different coatings, which don’t affect the quality of the image, but do affect the amount of lens flare. 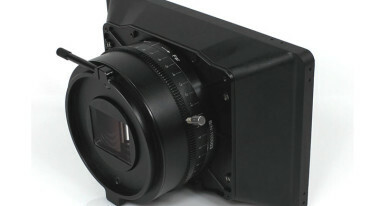 There’s a 0.8 mod pitch gear for focus adjustment and it also includes a mattebox. Sony started shipping three new cameras at the end of November: the A7 and A7r inter-changeable lens cameras and the RX10 point and shoot. These are primarily still cameras, but they do all feature video recording. 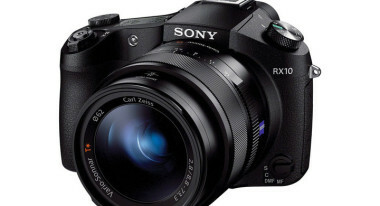 The RX10 has received particular attention because it has several interesting video-camera features including built-in ND and step-less aperture adjustment. Add the constant aperture f/2.8 24-200mm lens, maximum ISO of 12800 and a reasonably large 13.2mm x 8.8mm sensor and you have an interesting choice for run and gun shooting in a small form factor. H.265 just around the corner? With 4K distribution coming, we’ve started to hear more about H.265, the supposed successor to H.264. Cinemartin has release an update to their ProRes encoder, Cinec v.2.7. that supports the HEVC H.265 codec format. Using this compressor they claim that they were able to compress a ProRes 4:4:4 video of 590MB down to 4.9MB with little or unnoticeable differences. Cinec 2.7 includes a distributable player (decoder) for playing encoded H.265 videos on Microsoft OS’s. 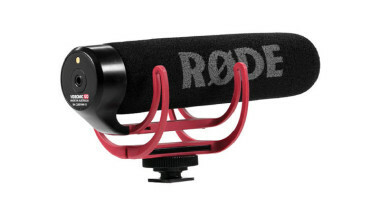 RØDE has released another small shotgun mic, the VideoMic GO. The GO costs $99, weighs 2.6 ounces, and features an integrated Rycote Lyre shock mount with integrated shoe mount. It also offers battery-free operation, but the microphone will not work with cameras that don’t supply plug-in power to their 3.5mm audio input jack. The VideoMic GO is a directional microphone and utilizes a super-cardioid polar pattern, but unlike other VideoMics it lacks any filter adjustments or audio level controls. It’s a basic shotgun, but may be useful for situations where you have an extra camera and you want to improve the audio quality without spending too much money. Though there’s still no sign of their 4K camera, Blackmagic started shipping the Pocket camera in quantity in November, and they also released an upgrade. Blackmagic Camera 1.5 software adds 12-bit Log CinemaDNG RAW recording to the Pocket Cinema Camera. The update is free. One important thing to watch: your SD card may not be fast enough to support recording in RAW and you should do some tests and make sure there aren’t any dropped frames. 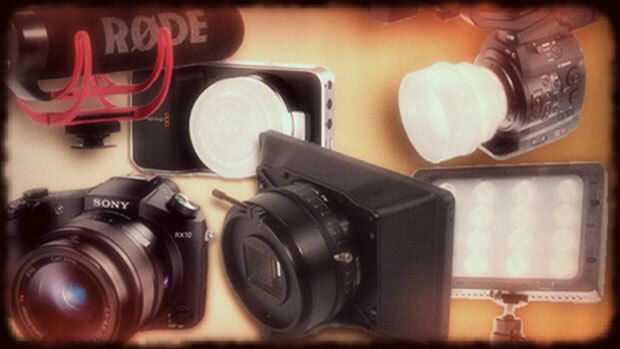 Blackmagic also released Resolve 10, which you can read about here. If you’re looking for a tutorial on grading Blackmagic RAW footage, check out this free tutorial at Color Grading Central. 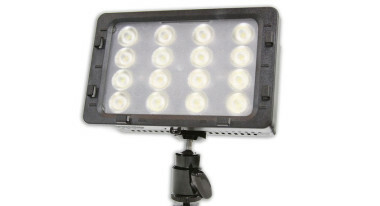 Switronix has expanded their TorchLED line with the Bolt BT220. The original Bolt BT200 has been a favorite of several DPs I know for lighting small scenes or adding an accent light. It’s small, portable and can be powered by a Sony L-series battery. The BT220 is the same size as the BT200, but 10% brighter and 40% more power efficient. Outputting the equivalent of 220 watts the BT220 has an independent knob for color temperature between tungsten (3200k) and daylight (5600k) and adds a dial to change the brightness from 0% to 100% with no noticeable color shift.